A BAG FOR ALL THE PLACES YOU'LL GO! 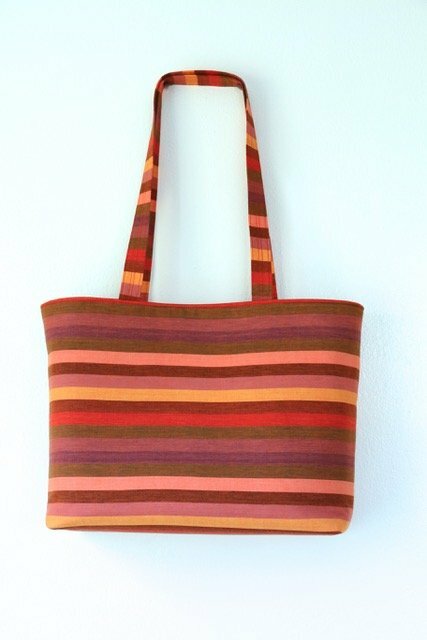 This bag is so versatile –it could be used as a purse, a diaper bag, a carry-all bag, even a small beach bag! Choose your fabric and we’ll teach you how to add a lining, pockets, straps and a magnetic closure, together with the techniques for using interfacings and linings to give your bag structure and a more professional finish. You’ll walk out of class with a one-of-a-kind bag that looks anything but “homemade”! Materials Included: Price includes $10.00 Kit Fee. Requirements: Supply list furnished upon sign up. Instructor Bio: Erica's love for sewing started when she and her husband bought their first house, and her mother gave her a sewing machine so that she could make decor for her new home. She later learned bag making and continues to hone her skills in bag making techniques. Besides bags and home decor, Erica enjoys making fun, useful items for children and families, and she sells some of her sewing creations on her online Etsy shop. Erica enjoys teaching and sharing her love of sewing with others. Her goal in class is to help others unleash their creativity through new sewing techniques and skills in a relaxed learning environment.